Thinking of implementing a corporate wellness program? You’ve come to the right place. 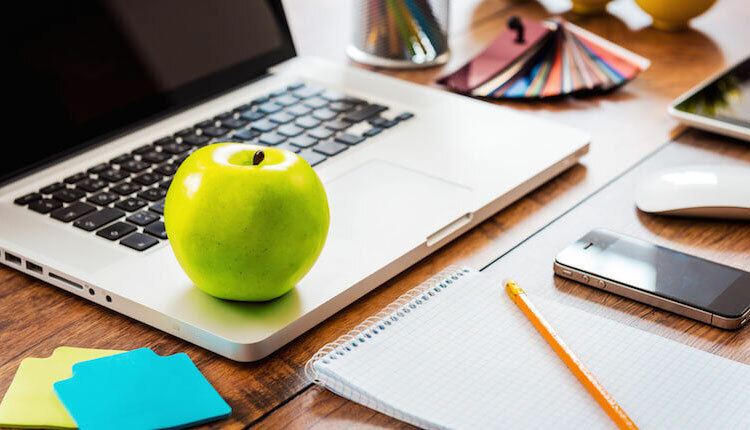 Let’s take some time to discuss the benefits of implementing a health program for your company, some of the best practices on setting it up, and how to reward your employees for their success. Corporate wellness programs have been a thing of debate. Some people swear by them while others believe they are a waste of time. So, which is it? Do corporate wellness programs actually work? Basically, the success of such a program falls on the shoulders of the person in charge. How things are organized and carried out will determine the program’s success. Assuming you are able to implement a successful program, what are some of the benefits you and your employees will receive? There are many benefits to having healthy employees. One of the most notable is less time away from work using sick days. But having them show up to work is only the tip of the iceberg. When people are healthy, they are more productive. They are more productive at work as well as in their personal lives. They have the energy to accomplish goals that they otherwise may not have pursued, also allowing them to be healthier mentally. You also have happier employees. They see such programs as a benefit or perk of the job, especially when you include things such as paid-for gym memberships and other gifts that help them accomplish their fitness goals. Reducing healthcare cost is also a benefit. It only makes sense that healthier people need less healthcare which could lead to paying less for premiums on health insurance programs. While the study was specific to major corporations, the results clearly showed that companies investing money into corporate wellness programs received direct benefits from the programs. So having a wellness program for employees will be beneficial regardless of company size. Now that you know some of the benefits, what are some best practices to follow when running a corporate wellness program? There is a lot of advice about how to run a successful fitness program for employees. Here are some of the best practices that we found that directly contribute to the more successful wellness programs. Get Organized – You will want a few people within your company to be in charge of implementing the program. They can be responsible for coming up with program ideas, keeping employees informed of changes to the program, and administering rewards for those who meet their goals. As the business owner, you need to be the ultimate say in how things are done but giving this task to a few employees will help generate a diversity of ideas as well as help get employees excited and involved. Set Goals – Any project without an attainable goal will be defeated before it is implemented. You need to set personal and company-wide goals for the program. These goals need to be attainable and manageable, keeping in mind that everyone will have different abilities when contributing to the overall team goal. Look at the Needs of Employees, Not Your Own – Don’t just set up a program without getting input from employees. Everyone has different goals and setting goals that aren’t in the interest of everyone will make them want to avoid the program, not get involved. Implement a Wellness Culture – You will need to establish an overall healthy culture in the workplace. This means putting healthy snacks in the vending machines instead of fat-filled candies and chips. Making it convenient for employees will also help with the culture. For instance, allow them time during work hours for specific health activities such as online seminars or even bring in health experts to give talks. Celebrate Every Success – Each time someone meets a goal, make sure to celebrate it company-wide. This also holds true for when the team goals are met for the company. Celebrating success is one surefire way to encourage people to continue attaining their next goal. In addition to the above best practices, it is advised that you introduce some type of reward program for those who meet their goals. Yes, you can use promotional items in your wellness program. They server a number of purposes. First, they motivate people to want to work out and get health. You can give items away as rewards or even give them to people simply for participating. So how do you structure such a reward system? Allow employees to earn points that they can use towards different promotional items. Points can be earned by reaching fitness goals such as weight loss or even miles run in a given time frame. You can set point levels so the more points a person earns, the more items they can purchase. These items can also be branded with your company logo so you get valuable impressions while they are being used. Make sure to mix up the choice of items available. People have different fitness goals so some people may be able to earn points faster than others. Have lower tiers of items so people with fewer points are still able to participate in the program. If they see the point levels are so high that they cannot reach, chances are they will lose the motivation to participate. For instance, use a less expensive item such as a water bottle or workout towel for lower tier points and then an item such as a fitness tracker for those wish to save up their points for a larger item. Here are a few ideas to use in your corporate wellness program. Keep in mind that all can be customized with your company information. Everyone uses a towel when they work out. If they don’t need one, then they aren’t working out properly. Give them a custom sports towel which will help them during their fitness goal and also showcase your company. There are various types of custom towels you can choose from. The first is a cooling towel in a carabiner bottle. The case can be customized with your logo and easily attaches to a purse, backpack, jacket, or anything else with a loop. The towel is quick drying and super absorbent and perfect for use with any type of workout program. Frigitowels are also great for people who work out on a regular basis. A frigitowel is a fast-cooling towel that gets cold when moistened. They are a great way to cool down as opposed to dumping water over your head after an intense workout. You can also provide regular gym towels which are typically made from terry cloth and reusable. Of course people use water bottles in their fitness routine. No matter if they are working out in a gym or outside running in nice weather, you can always see people carrying water bottles. People are more apt to carry their own personalized water bottle than a 20-ounce bottle you buy at the store. They are easier to identify so people don’t forget which bottle of water is theirs at the gym. Water bottles have come a long way over the past decade. This is likely because of their popularity and demand for better designs. You can now find them made from steel, painted plastic, and clear plastic. There are also bottles with built in filters. Sports bottles are also used for more than just water. You can choose an infuser which allows to have flavored water; or, even give employees a shaker they can use to mix protein shakes. The possibilities are endless. There are so many different styles to choose from that you can find a type that your employees will love while not breaking the budget to do it. Wellness is not just about working out. It is about taking care of your body overall. Personal items are a great way to compliment workout items. Body products such as back scratchers and massagers can help relieve stress. You can also customize bottles of hand sanitizer which are a widely used item. Spa kits are another great item which help people relax and can be used as a reward for meeting specific fitness goals. It may sound cliché, but stress balls really do relieve stress. Get a bunch to not only give away, but to keep around the office for use on a daily basis. If you are considering implementing a corporate wellness program for employees, the choice is easy to make. You will have happier and healthier employees which in turn will translate into better work performance and less sick time. In order to have a successful wellness program, you want to make sure it is well-organized. Have someone in charge, solicit ideas, give rewards, and celebrate when people reach goals. You will also want to create a healthy workplace by doing little things such as removing junk food from vending machines. There are also many things you can use to reward employees for their healthy lifestyle and we covered a few herein. Give us a call and we can walk you through many more choices that are both customizable and personable to employees.